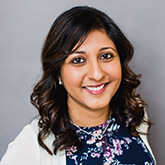 Chavi Khanna Koneru is co-founder and current Executive Director of North Carolina Asian Americans Together (NCAAT). Koneru moved to North Carolina in 1989 and has spent the majority of her life living in the state, including attending college and law school locally at the University of North Carolina. This has allowed her to gain a deep, personal understanding of what it means to be AAPI in the South. Additionally, her legal background in voting rights law has given her the opportunity to interpret and enforce laws impacting the AAPI community, including during her time in the Voting Section at the U.S. Department of Justice, where she focused on language access for AAPI voters. Danica grew up and attended college in North Carolina and is energized by the ever-increasing awareness in Asian and Asian American communities across the state. Her interest in NCAAT grew from her time in community organizing and student of color advocacy spaces. 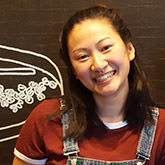 She is dedicated to engaging with Asian and Asian Americans across North Carolina to tackle issues such as lack of resources for Asian and Asian American students to talk about their experiences and unique hxstories. In her free time, she likes to make and eat various noodle dishes. Loren is the Coordinator for the Civic Engagement program with NCAAT. He’s spent the past 5 years working on a range of political campaigns. 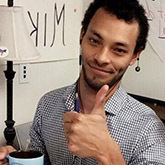 Originally from New Jersey, Loren worked in Durham and Raleigh in the 2014 midterm election as well as the 2016 presidential season. He loves talking about politics, sports and all genres of music! Ricky is co-founder and current Communications Director at NCAAT. Ricky grew up in Greensboro, North Carolina, and studied journalism and mass communication at UNC Chapel Hill, concentrating in visual communication and design. He began his career in DC at National Geographic and at the Smithsonian Asian Pacific American Center, where he became more involved with AAPI grassroots organizers. 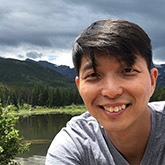 Ricky returned to North Carolina in 2010 in hopes of bringing that AAPI experience to his home state and worked at NC Policy Watch at the North Carolina Justice Center before joining NCAAT fulltime. In his free time he snuggles with his puppy Charlie.